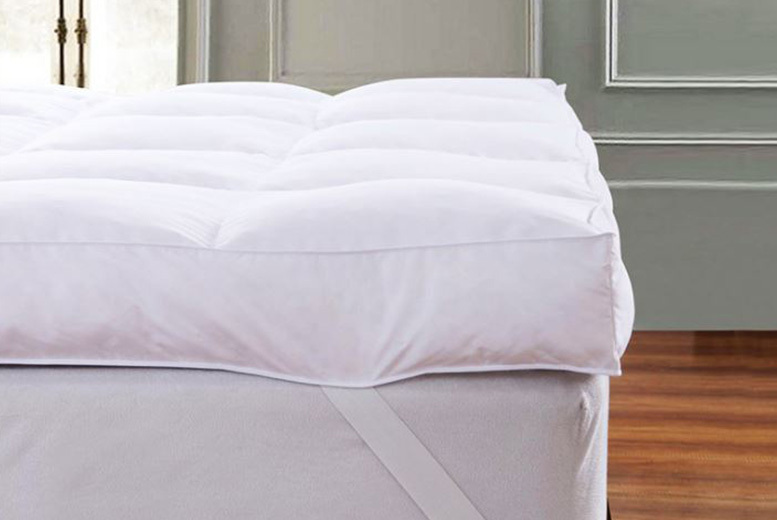 Get a 12.5cm deep duck feather and down mattress topper! Beautifully-made and covered in a fine-woven 233-thread count. Luxurious comfort with 15% duck down and 85% duck feather filling. Evenly-distributed, pocket stitched design for extra support while you sleep. Aims to support and relieve stress on your spine and pressure points. Choose from single, small double, double, king, superking.